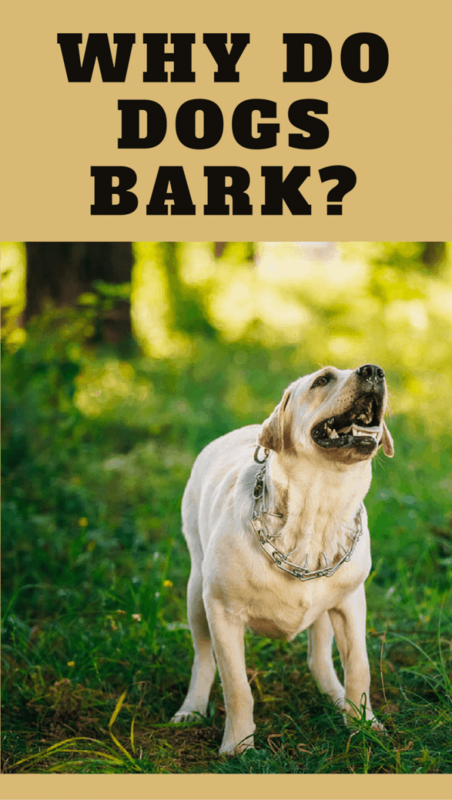 Home BEHAVIOR	Why Do Dogs Bark? What Are The Causes? All dogs bark. Actually I take that back as the Basenji is a breed that’s known for not barking. But with the Basenji being the exception, all dogs bark, and that includes your Labrador. 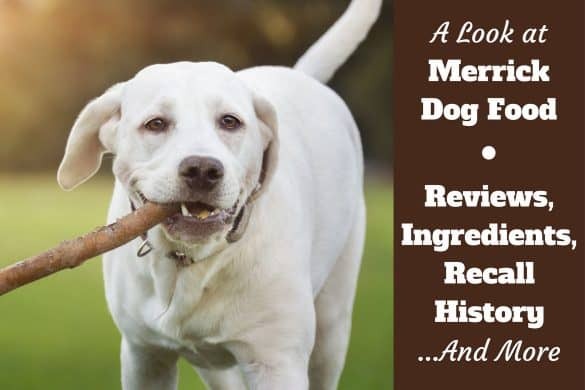 In our efforts to better communicate with and understand what our dogs are thinking and feeling, it’s in our best interests to learn both why do dogs bark, and how to decipher the different barks and sounds they make. Mostly they bark for good reason. It could be they’re trying to tell you something, or they’re expressing vocally how they feel at any given moment. Barking is an important form of communication for our dogs. But sometimes they may bark too much, annoying the neighbors, keeping you awake at night, or maybe scaring people who have the nerve to approach them. 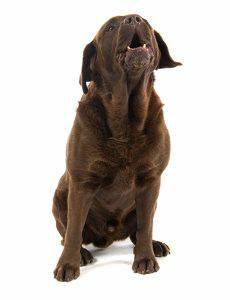 Many people cite ‘problem barking’ as one of the biggest annoyances of owning a dog, and many owners that give up their dogs to shelters cite excessive barking as one of the reasons for giving them up. Why Do Dogs Bark At Certain People? 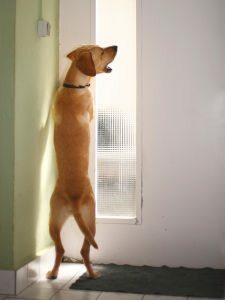 Why Do Dogs Bark At The Door? Most people who’ve landed on this page will have done so because they have a dog who barks excessively and really need to sort this out. So what can you do? The very first thing you have to do is figure out why they’re barking in the first place. If you can identify and then tackle the root cause of their barking, then of course they should stop. This article will answer the question: Why do dogs bark?. 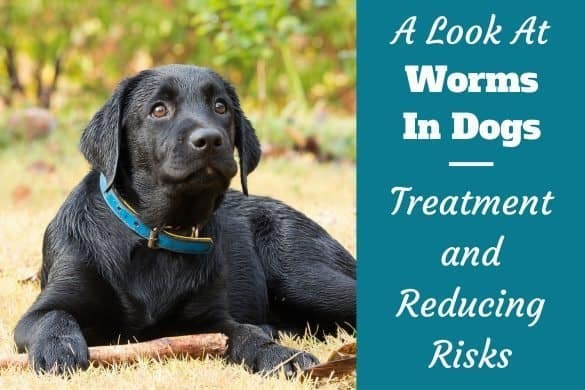 Detailing all the reasons so you can have a thorough understanding of the root cause of the barking, before later articles go on to help you deal with the issue. You simply must know why? Before you can move on to how to stop it. The rest of this article will take each item in the two lists above and give a basic description of why they bark at these times. 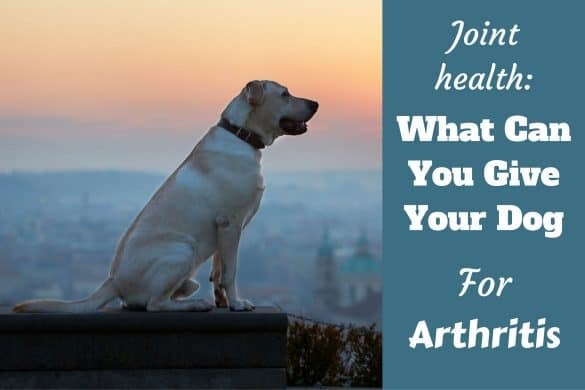 So if your labs barking is a nuisance you can determine what triggers need to be addressed. But also knowing why they bark will hopefully make you more understanding and perhaps accepting of your dogs actions. A very common reason for a dog excessively barking is simply because they’re bored. They’re trying to get somebody’s, or anybody’s, attention. Labradors especially are a very intelligent and social breed. If they aren’t mentally stimulated and enjoy lots of social interaction, they quite quickly become bored. And when bored they will often try desperately hard to get some social interaction and they do this by barking for attention. This is why we often hear complaints from neighbors that a dog barks non-stop all day if they’re left alone while the owners are out at work. They bark because they have nothing to do, nobody to interact with and their intelligent minds aren’t stimulated. Barking for attention often becomes the behavior they revert to at these times. So if your Lab doesn’t get to enjoy mind stimulating games and training on a regular basis, they’re left alone for 4 hours+ per day quite frequently and your neighbors complain of nuisance barking, boredom is the most likely cause. Dogs can be scared of all sorts of things like certain people, other animals or particular situations and environments. You can tell if a dog is scared by their posturing and body language. They’ll have their tail held low, their ears pinned back and their general posture looking small and retreating. The scared look is very recognizable. In this state, a dog will often bark, especially if whatever’s scaring them is a person or animal that makes a sudden move or eye contact is made. If there’s something your Lab really wants, and they cannot get at it, they will often bark in frustration. This will be accompanied by an intense look, pricked ears (as much as they can be for a Labrador) and jumping up or scratching at whatever’s between them and the object of their desire. It’s easy to see when your dog’s frustrated as all their energy will be pointing to the object that’s frustrating them, whether it be a squirrel across the road, a ball the other side of a fence or a steak atop a table that’s just out of reach. We’ve all seen our Labs jumping around, barking their heads off and going nuts with pure excitement. Like When you come home from a long stay away or when you pick up their leash before taking them for a walk. When guarding, a dog is trying to protect and defend their family and territory from any perceived threats. They will become very excitable, highly alert and bark loudly and incessantly. They’re sending out a warning alarm that somebody is approaching and there may be a potential threat, as well as trying to warn the intruder to go away. This can be a real problem if a dog feels they have to guard a large yard and can result in them patrolling the perimeter, barking non-stop at any people, animals, bikes or cars that pass by. Obviously this can become a huge annoyance. Separation anxiety is a very serious problem that puts a dog into a very high state of stress, leading to destructive behaviors and excessive barking. Barking because a dog cannot cope with being alone is not the same as barking due to boredom, but it’s easy to get these root causes confused as often they occur for the same reason: Being left alone. You can distinguish the two because a dog that cannot cope with being alone becomes very anxious and barks a lot just knowing you’re about to leave. Whereas a dog barking through boredom can spend hours alone if properly stimulated the rest of the day and left with appropriate toys to keep them occupied. First of all, dogs have extremely sensitive hearing and can hear things much fainter and further away than we can. During the day there is a lot more ‘background noise’ that helps to mask and drown out individual sounds, so most things are lost in the symphony of sounds that surround them. But at night, when it’s calm and quiet, a sound during the day that will have been drowned out can be very loud and clear against a background of silence that makes it really stand out. There’s also a whole world of wildlife that comes out of hiding and are very active at night; Rodents, badgers, cats, bats and raccoons to name but a few. The noises these animals make during an otherwise very quiet night are highly stimulating to dogs and they react to this by barking. If your Labrador suffers separation anxiety, they will cry and bark whenever socially isolated, which can unfortunately mean all night if they aren’t near their family. You’ll know if your dogs night time barking is due to separation anxiety as they will also bark during the day when left alone…and your neighbors will soon tell you. 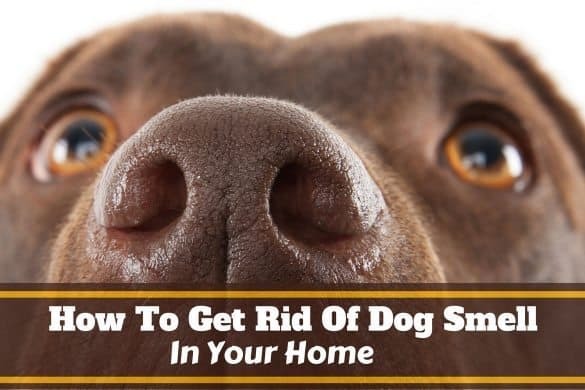 If your dog undergoes a massive change in their environment it can cause feelings of insecurity and fear of the new unknown and they may start to bark at night. This could be if they’re moved to sleep in a new room, a new sound or a change in lighting, anything that’s a break from the norm and could disturb them. If your Labrador isn’t getting enough exercise during the day, they may not feel appropriately tired by the time night falls. They may be full of pent-up and unspent energy, wanting to explore, play and burn off this energy. But with everyone else asleep, or at least in bed, they will feel bored and isolated and will bark for attention and through frustration and boredom. Many canine species howl and bark at night to let others know they’re there and to stake a claim to their territory. 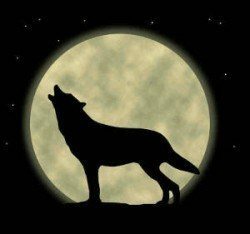 Wolves, coyotes and many wild and feral dogs can be found howling and barking the whole night through. If one starts, many others in earshot will respond and a single howling or barking dog can start a chain reaction that can traverse a whole city. You may not hear the trigger that starts your dog off howling, but they may be able to hear the howl or barks of another dog 15 streets away. It’s a deep instinctive thing that comes from the days in the wild where dogs would be active at night and packs would guard their territory. Howling and barking is the way dogs tell others they’re around and not to go near, thereby avoiding territorial fights that can be expensive in terms of energy, injury and possibly loss of life. Why Do some dogs love to bury bones? Why do dogs drag their butts across the floor? Why do dogs lick your face, hands and feet? Quite simply, one dog barking at another is a form of communication, much like me saying hello to you if we met in the street. If your dog doesn’t look scared or aggressive, but is calm and happy when he barks at another dog, they’re simply saying hello. Your dog may bark at another dog in order to tell them they’re approaching what belongs to your dog. If another unfamiliar dog comes near to them, to you, your home or an area your dog spends a lot of time, they might feel territorial and warn another dog to stay away. A dog will bark at almost anything that’s unfamiliar and when it comes to people could be all manner of things, especially if a dog missed out on early socialization and they aren’t used to people of all shapes, sizes and color. Some dogs that have been superbly socialized will be happy around everyone, others can be spooked by almost everyone. Some traits or differences in people a dog may bark at can include: Height, age, gender, uniforms, glasses, hats, skin color, hair color, masks, wheelchairs, crutches, perfume or deodorant smell and more besides. Sometimes if your dog barks only at particular traits it can be embarrassing. For instance if they only but always bark at black people, or people with red hair. But this isn’t your dogs fault, they aren’t being racist or anything, they have no concept of these ideas and are simply barking at something out of the ordinary (to them) and unfamiliar differences. The first and most obvious reason is simply your dog is alerting you that there’s somebody at the door. They get used to the fact that whenever the door knocks or the doorbell rings, someone in their family gets up and heads to the door to open it. They get used to this and want you to know there’s somebody there, they’re sending you an alarm signal, they see it as their job. If they could open the door and let people in themselves, some dogs certainly would! Getting you to do so is the next best thing. It can be a territorial response. When the doorbell goes, your dog may not yet know who or what is on the other side, but they do know somebody is close and maybe trying to get in. So they bark to let the intruder know that the area they’ve entered belongs to the dog and the dog knows they are there. The dog is sending them a warning. Your dog will very quickly learn that when the doorbell goes, there’s somebody on the other side. And dogs, particularly Labradors, are highly social animals that absolutely love and get excited about human company. When they hear that doorbell there’s potentially a person there who will come in, give them attention, play a game and give them a good belly rub! So they get excited at the prospect of saying hello and bark excitedly. Some dogs are scared of loud and unexpected noises, of which a doorbell or a knocker is certainly one. Also, if a dog is particularly timid and is scared of strangers they may bark at the door for fear of the unknown. They cannot know who or what is on the other side of the door but will have learnt that it could be a stranger and they bark through fear of the stranger coming into their home. 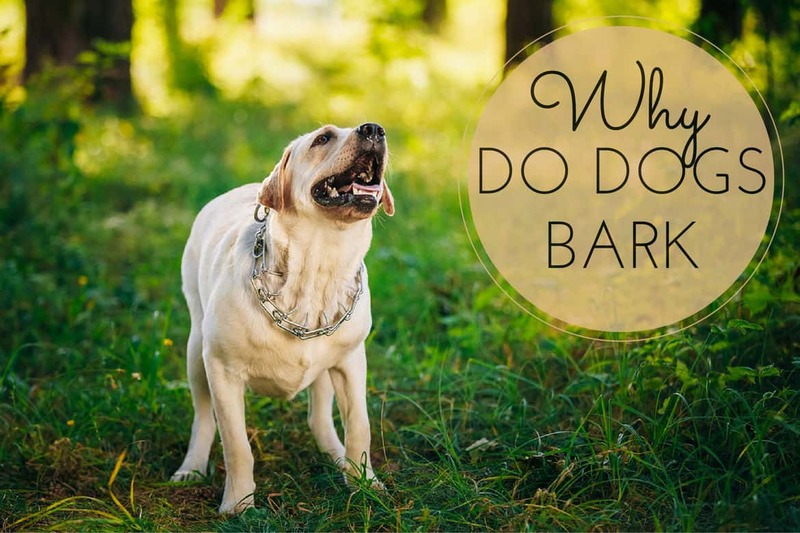 Why do dogs bark? Hopefully this article has answered that question and we now have a better understanding on when and why dogs bark. This will help us to better understand and hence improve communication between us and our dogs, and good communication is an essential foundation for a good relationship and effective teamwork, in training and all of life. But this article hasn’t discussed what their different barks sound like, or if they’re barking excessively how to solve the issue. I’ve written a follow up article to this that discusses what different barks mean. I will be adding articles describing how to stop excessive problem barking soon. Unfortunately, when your Lab is barking you’ve been going out to him…and then he settles. But what this has taught him is that barking, endlessly, gets him the attention and company he craves. You should only give attention, and even reward him, after 30 seconds of silence. This way he learns that silence gets rewarded, not being noisy! At 1 year old, your lab is still also very young and a lot in the world is still very novel and exciting. When outside at night, there’s all sorts of sights and sounds along with his heightened senses and this is a common reason for dogs barking at night. You can read more about this in article: Why do dogs bark? Can I ask, have you crate trained your Lab at all? 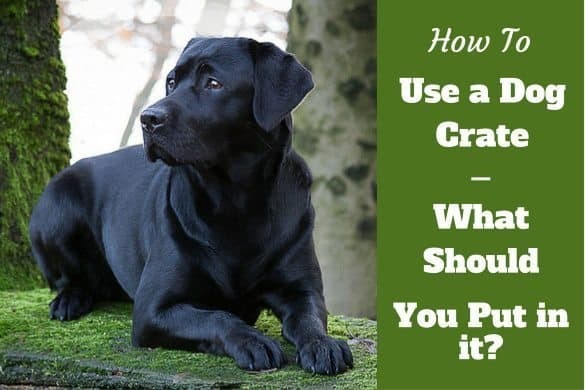 This can help massively with being alone as they feel safe and secure when crated instead of having to be on high alert if out in the big wide world. You can see my crate training guide by clicking here. I read all your article and still don’t know why my dog barks when she does. My Lab is about a year and 6 month’s old. Someone gave her to me about 3 month’s ago. They couldn’t handle her because she was so energetic and her constant need to play. they decided to let her go after she started chasing the sheep on the farm wanting to play with them. so I decided to take her in. She’s just beautiful and loves my kids to bits. All around she’s a very happy dog because she gets lots of attention from the kids. I just have one problem. She gets so exited that she keeps jumping up on people. This generally creates an annoyance in visitors. How do I get her to stop doing that? with her being big already how difficult is it to train her? In general shes perfect. I really enjoyed this site because it really gave me some perspective on my Lab and how fun they are to own. This is a very common problem as everybody encourages their tiny little 15 pound to jump up and say hello, and their slightly older 20 pound puppy, even their older still 30 pound puppy…but that puppy soon ends up a full grown 75 pound adult Labrador that’s been encouraged to jump up all their lives then don’t understand why it’s suddenly wrong! How difficult is it to train her to stop jumping up? I’d say perhaps medium difficulty. It will take time, patience and dedication, but she will definitely be able to learn to stop the behavior and it’s certainly within your ability to train it to her. I would suggest reading the article as it’s full of great advice, and make sure to watch the two videos linked to in the article for some visual instructions too. One thing I’d add is to use every natural opportunity you can for a training session. What I mean is, watch the videos and learn the paws on the floor or ‘sit to greet’ method and practice them a little every day. Then when your spouse comes home from work, or the children come home from school, or another family member comes to visit, or a friend of yours visits, use this as a training session. Instruct them long beforehand what you’re trying to do with your Lab and will they help for 1 minute when they arrive. They should be happy to! If possible have them phone you a minute or two from your home before arrival so you’re prepared, as is the visitor, for a very quick less than a minute training session. What you want to do is put your Lab on a leash, have your visitor come to the door, and do not let your Lab say hello unless their paws are on the floor. Your visitor arrives, you walk your lab to the door and your visitor can start to say hello. As soon as your lady starts to jump, gently restrain her on the leash and have your visitor step back, turn and ignore your Lab. Just let your Lab go nuts if she likes, but give zero attention. As soon as she again gets all 4 paws on the floor, click and treat her (or praise and treat her if you don’t use a clicker) and then allow the visitor to step forward to say hello. It’s very likely your lady will instantly start to jump again. But you have control with them on leash so you withdraw her just out of reach once more, and your visitor INSTANTLY withdraws their attention again as you instructed them to beforehand. They literally step back, turn away and ignore your Lab until their feet are back on the floor. Rinse and repeat this again and again until your Lab is saying hello to the visitor, which may take a good minute before all the excitement has passed. Then repeat this whole exercise for every visitor you have to your house that’s game for helping in this way, and for family members they have no excuse and should do this every time, likewise somebody else taking up the reins (or the leash) when you’re expected home. It will take time, but as long you practice regularly and are consistent with not allowing jumping up EVER, the behavior will soon become extinct…expect it to take weeks though, not just days. I’m afraid the only advice I can give is to see a vet. I know you already have, but re-state your concerns and ask for more in-depth checks, possibly even seeing a second vet for another opinion. My 5 months lab is not yet barking. I find it a bit surprising, as the other stray dogs 2-3 months old are barking day in and day out. Most of the time he sees people passing by our gate and tries to reach out to them in a friendly manner. A lot of owners would say you;re quite lucky! haha. He has not barked once at all, ever? If you’re really worried about it, the best person to speak to is of course your vet. Our 3 1/2 month old puppy goes to her crate at night without barking. She wakes us in the morning with a small bark to let us know she needs the toilet. We let her out, then give her a Kong filled with frozen food to occupy her in her crate while we get ourselves up/shower etc. 9 times out of ten she stays quiet for a few minutes before starting to bark almost continuously. We can’t let her out of the crate unsupervised as she is already able to jump over the playpen! Any ideas how we train her to keep quiet while we are getting ready in the morning? We ignore the barking and only reward quietness but we haven’t fixed this problem.